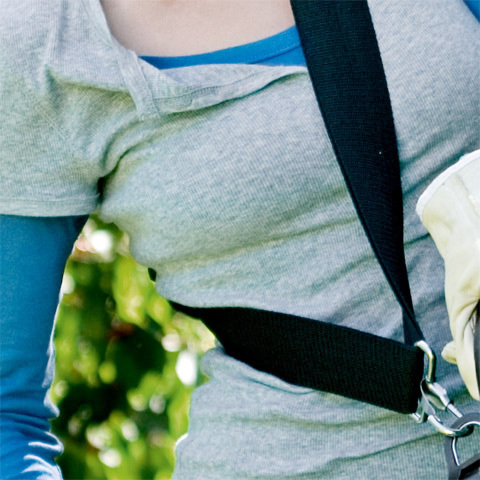 For professional work on high hedges and close to the ground. 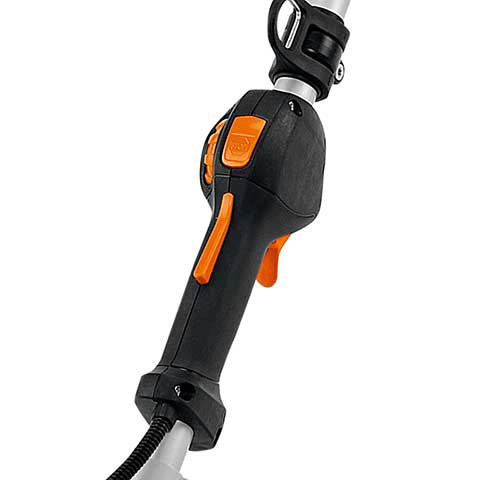 Reduced-weight transmission, 2-MIX engine with ECOSPEED for speed control when working for long periods in noise-sensitive areas, STIHL ErgoStart, cutter bar adjustable by 145°. Total length: 232 cm. 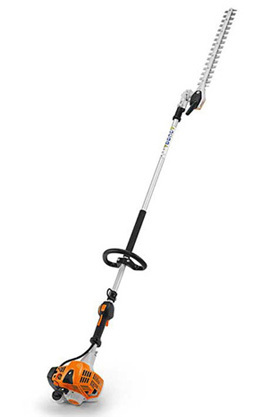 With the ECOSPEED function, you can use your long reach hedge trimmer in a more economical operating mode. 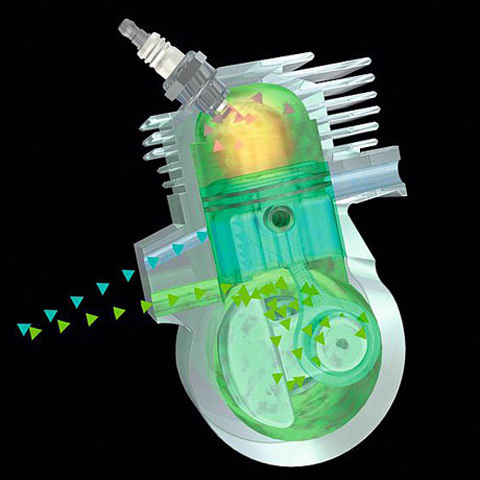 Simply turn the wheel to the minus direction, thereby reducing the maximum engine speed. 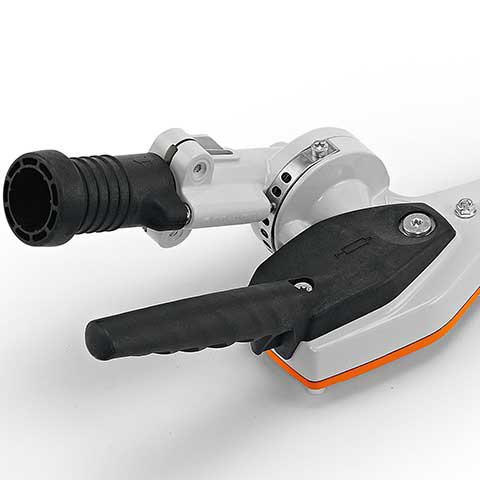 This keeps your long reach hedge trimmer running at partial load; however, despite this limited setting, you can shift to full capacity when necessary by pressing the throttle lever. Operating at partial load reduces fuel consumption and you can work much longer with one tank. 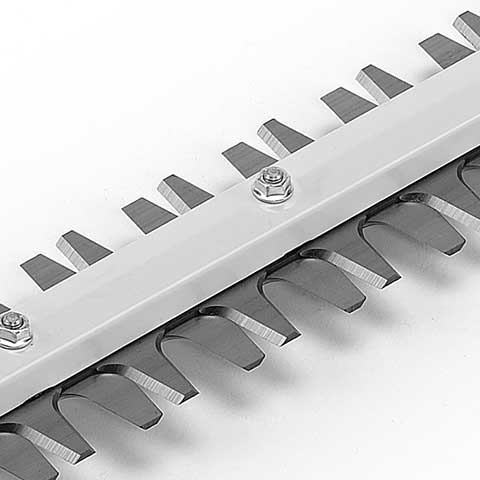 Double-sided cutting blades ensure a powerful and precise cut even through thicker branches. The cutter bar can be adjusted in increments up to 145° in two directions. 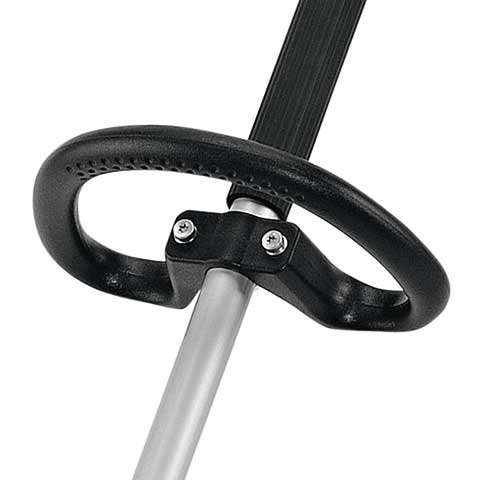 To save space, the cutter bar can be folded parallel to the shaft, and locked, for transport. 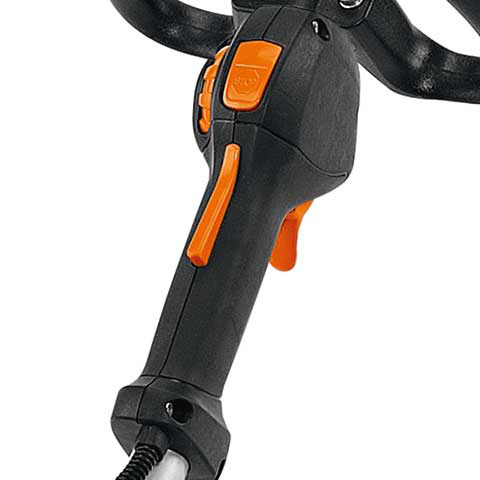 The loop handle gives you maximum flexibility and easy operation even in confined working conditions. 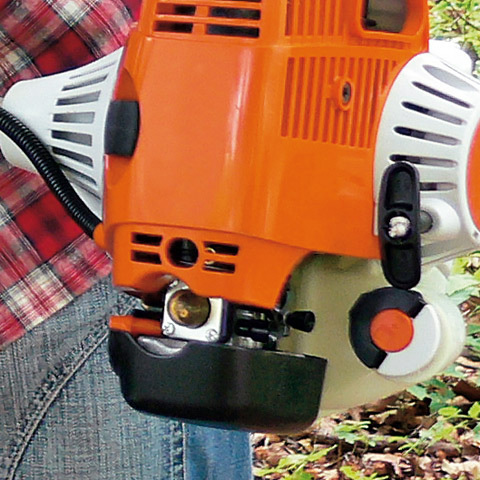 The multi-function handle on the long-reach hedge trimmers enables all the engine functions to be easily controlled.